From 2012 to 2016 Donald has tried a few different methods of delivering quality paddlesports sessions throughout the Highlands. This has included using a number of local highly experienced and qualified coaches to expand operations, weekend staff to open the office for hire and retail during Summer season, plus part-time seasonal admin support. As the business expanded, Donald ended up doing less of what he loves (paddling) and ended up getting pulled back into the office to manage the hired workforce over and above delivering activities. Reflecting over the years of operation and to help create a better work-life balance, at the end of Autumn 2016 Donald made the difficult decision to scale back the business into being a sole trader again. The other option was to scale up the business and for him to hang up his paddling jacket on a full-time basis to manage the office, marketing and staff operation and backup the coaches and guides where required. From March 2017 Team Explore Highland is back to just Donald, so please book early to avoid disappointment. 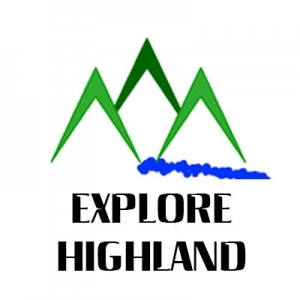 Explore Highland is now focused on delivering quality paddlesports activities over quantity from now on. Born and brought up in Inverness, his passion for the sport and the outdoor life has always ruled his world. After studying sports coaching at Telford College, Donald has progressed through various coaching ranks in a variety of sports including swimming and gymnastics, and now enjoys guiding and coaching all three main paddlesports disciplines, and loves playboating, standup paddleboarding, and recreational paddling when the opportunity arises. As well as running Explore Highland, Donald was Project Officer for the Great Glen Canoe Trail and wrote the Great Glen Canoe Trail guidebook to Scotland’s first formal Canoe Trail. He also helped develop the Glasgow to Edinburgh Canoe Trail. Currently, he also freelances for Glenmore Lodge, Skyak Adventures, In Your Element, High Life Highland and the British Army’s Adventurous Training Group at Cameron Barrack’s Inverness.